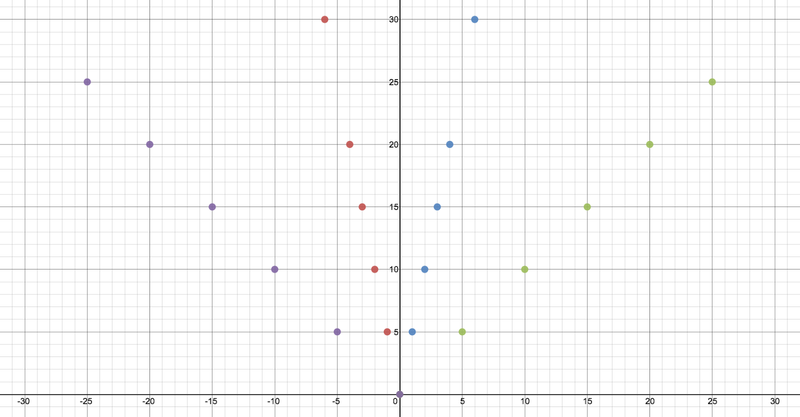 Can you find an equation that goes through the purple, red, blue, or green set of colored dots? Can you find an equation that goes through two sets of colored dots? Three? Four? If you’re victorious, leave us a note in the comments when you’re done.